Advanced Animal Nutrition Dog Power dry dog food for possible high levels of aflatoxin. The recalled items are: Dog Power Adult Maintenance Formula 21-12 Dog Food, 50-pound bags; Dog Power Hunters Formula 27-14 Dog Food, 50-pound bags; Dog Power Hi-Pro Performance Formula 26-18 Dog Food, 50-pound bags. Packaging date codes (lot numbers) are 4K0004 through 4K1322. The affected products were manufactured between Jan. 4, 2011, and Nov. 18, 2011. Those who purchased the food can return it – whether in opened or unopened packages – to the place of purchase for a full refund. For more information, call 866-648-7646. Arrow Brand Dog Food made by O’Neal’s Feeders Supply for high levels of aflatoxin. The recalled products are: Arrowbrand 21% Dog Chunks. product code SKU #807, 40-pound bag; Arrowbrand Super Proeaux Dog Food, porduct code SKU #812, 40-pound bag; Arrowbrand Professional Formula Dog Food, product code, SKU #814, 50-pound bag. Packaging date codes lot numbers are 4K0341 through 4K0365 and 04K1001 through 4K1325. The food was distributed in Louisiana and Texas. Those who purchased the food can return it – whether in opened or unopened packages – to the place of purchase for a full refund. For more information, call 800-256-2769. Blackman Industries' PrimeTime brand Premium Pig Ears and KC Beefhide Premium Pig Ears because of possible salmonella contamination. The recalled PrimeTime products are: 2-count package with UPC code 7-48976-18316-6 and $3.49 retail price; 5-count package with UPC 7-48976-09040-2 and $5.99 retail price; 5-count package with UPC 7-48976-19040-9 and $6.99 retail price. The KC Beefhide product is a 20-count package with with UPC code 7-48976-09065-5. The products were distributed from January 4, 2011, to April 29, 2011, in Kansas, Missouri, Iowa, Nebraska and South Dakota. They were sold at Price Chopper Stores, Hy-Vee Stores, Hen House Markets, Bag N Save Stores, Dahl’s Food Stores, Baldwin City Market, SunFresh Food Stores, Apple Markets, Brookside Market, Franklin Food Stores, No Frills Food Stores, Alps Food Stores, Big V Food Stores, Country Mart Food Stores, Thriftway Food Stores, County Fair Food Stores, Super Saver Food Stores and Russ’s Food Stores and Feldman’s Farm and Home Stores. Those who have purchased any of the products can return them to the place of purchase for a full refund. For more information, contact Blackman Industries at 913-342-5010. Blue Buffalo Wilderness Chicken, Basics Salmon and Large Breed Adult Chicken dry dog foods sold under the "BLUE" brand because of possible excess Vitamin D. Dogs may show signs of lethargy or exhibit unusually frequent water consumption and urination. The recalled items are: Blue Wilderness Chicken Flavor dry dog food, 4.5-pound bag with Best If Used By JUL2611Z, Best If Used By JUL2711Z" and Best If Used By JUL2811Z; Blue Wilderness Chicken Flavor dry dog food, 11-pound bag with Best If Used By JUL1211B; Blue Wilderness Chicken Flavor dry dog food, 24-pound bad with Best If Used By JUL1211B and Best If Used By JUL1311B; Blue Basics Limited Ingredient Formula Salmon and Potato Recipe dry dog food, 11-pound bag with Best If Used By AUG2111B and Best If Used By AUG2211B; Blue Basics Limited Ingredient Formula Salmon and Potato Recipe dry dog food, 24-pound bag with Best If Used By AUG2111B, Best If Used By SEP2311P and Best If Used By OCT2611P; Blue Life Protection Formula Natural Chicken & Brown Rice Recipe Large Breed Adult dog food, 30-pound bad with Best If Used By SEP2211P, Best If Used By SEP2311P and Best If Used By OCT2611P. Customers who have purchased a recalled product can return it to the place of purchase for a refund. For more information, contact the company at 1-877-523-9114 or visit www.bluebuffalo.com/news9. Boss Pet Products Diggers Natural Chews Pig Ears because of for possible salmonella contamination. The recalled products are: bulk pig ears in boxes of 100, UPC #0-72929-00038-6; bulk pig ears in shrink wrapped in boxes of 50, UPC #0-72929-99120-2; 2-pack bags shipped in cases of 12 bags, UPC #0-72929-99504-0; 4-pack bags shipped in cases of 12 bags, UPC #0-72929-00227-4; 8-pack bags shipped in cases of 12 bags, UPC #0-72929-99584-2. The products were shipped from November 2010 through April 2011 to distributors in Alabama, California, Illinois, Indiana, Iowa, Kansas, Louisiana, Minnesota, Missouri, Montana, New York, Ohio, Oklahoma, Oregon, Tennessee, Texas, Utah and Washington. Those who have purchased the products can return them to the place of purchase for a full refund. for more information, contact Boss Pet at 1-800-445-6347 visit www.bosspet.com. Bravo! Pig Ears Chews because of possible salmonella contamination. The recalled item is the 50-count bulk oven roasted Pig Ears with product code 75-121 and lot number 12-06-10. It was distributed to retailers on the East Coast and West Coast., and they were shipped to distributors and retailers from January 1 and February 28, 2011. Consumers who have purchased the product can return it to the place of purchase for a full refund. For more information, visit www.bravorawdiet.com or call 866-922-9222. Cargill Animal Nutrition's River Run and Marksman dog foods because of possible aflatoxin. The recalled food items are: River Run Professional Formula HI-NRG 24-20 Dog Food, 50 pound bags; River Run Professional Formula 27-18 Dog Food, 50 pound bags; River Run 21% Protein Dog Food, 40 and 50 pound bags; River Run Hi-Pro No-Soy Dog Food, 40 and 50 pound bags; Marksman 24% Protein 20% Fat, 40 pound bags; Run 21% Protein Dog Food, 40 and 50 pound bags; River Run Hi-Pro No-Soy Dog Food, 40 and 50 pound bags; Marksman 20% Protein 10% Fat, 40 and 50 pound bags; Run 21% Protein Dog Food, 40 and 50 pound bags; River Run Hi-Pro No-Soy Dog Food, 40 and 50 pound bags; Marksman 28% Protein 18% Fat, 40 pound bags. The products were manufactured at Cargill’s Lecompte, Louisiana, facility between Dec. 1, 2010, and Dec. 1, 2011, and have the following date codes (lot numbers): 4K0335 through 4K0365, LL0335 through LL0365, 4K1001 through 4K1335 and LL1001 through LL1335. For more information, visit to www.cargill.com/feed/dog-food-recall or call 855-460-1532. Dentley's Beef Hoof and Chew Products made by Pet Carousel of Sanger, Calif., for salmonella contamination. The items were sold at PetSmart from Sept. 1, 2009, to November 6, 2009. The recalled items are: Dentley's Bulk Cattle Hoof, UPC 73725703323; Dentley's Choobles 10-Pack Beef Hooves, UPC 73725736055; Choo-Hooves stuffed with cheese-bacon, UPC 3465190058; Choo-Hooves stuffed with peanut butter, UPC 3465190056; Flossy Chews Choo-Hoove Roper Two-Hooves, UPC 3465117005; Flossy Chews Roper Bone Buddy, UPC 3465190002; Flossy Chews Beef Bones with Rope Toy; UPC 3465117055; Flossy Chews White Bone Rope, UPC 3465117065; Knucle Steaks 2-pack, UPC 3465190046; Choo-Hooves Dog Chews 3-pack, UPC 3465184103; 3-Pack Smoked Hooves, UPC 3465114003 and 34651140037; 5-pound Cow Hooves; UPC 34651150609 and 3465115060; 5-pound Smokies-Hooves, UPC 34651140556 and 3465114055; 60-Pieces Smoked Hooves, UPC 3465112122. Customers who purchased the products should discontinue use immediately and return the product to any PetSmart store for a refund or exchange. For more information, customers should visit Pet Smart or call PetSmart at 1-888-839-9638. Diamond's Chicken Soup for the Pet Lover’s Soul Adult Light formula dry dog food for potential salmonella contamination. The recalled products include: 35-pound bag with production code CLF0102B31XCW and best buy day of 27/JAN/2013; 35-pound bag with production code CLF0102B31XCW and best buy day of 28/JAN/2013; 35-pound bag with production code CLF0102B32XWR and best buy day of 28/JAN/2013; 6-pound bag with production code CLF0102B3XALW and best buy day of 28/JAN/2013. The products were distributed in Florida, Kentucky, Massachusetts, Michigan, New York, North Carolina, Ohio, Pennsylvania, South Carolina and Virginia, who may have further distributed the product to other states, through pet food channels. For further information or to obtain a refund, call 800-442-0402 or visit chickensoupforthepetloverssoul.com/information. Diamond's Naturals Lamb Meal & Rice dog food for potential salmonella contamination. The recalled products include: 6-pound bag with Product Code DLR0101D3XALW and Best Before Code 04 Jan 2013; 20-pound bag with Product Code DLR0101C31XAG and Best Before Code 03 Jan 2013; 40-pound bag with Product Code DLR0101C31XMF and Best Before Code 03 Jan 2013; 40-pound bag with Product Code DLR0101C31XAG and Best Before Code 03 Jan 2013; 40-pound bag with Product Code DLR0101D32XMS and Best Before Code 04 Jan 2013. The product was distributed in Alabama, Florida, Georgia, Kentucky, Maryland, Michigan, New York, North Carolina, Ohio, Pennsylvania, South Carolina and Virginia, who may have further distributed the product to other states, through pet food channels. For further information or to obtain a refund call 800-442-0402 or visit www.diamondpet.com. Diamond's Premium Edge Cat Foods for having an inadequate level of thiamine, which may cause clinical signs of thiamine deficiency in cats eating this food. The recalled products are: Premium Edge Finicky Adult cat food and Premium Edge Hairball cat food, RAF0501A22X 18 pounds, RAF0501A2X 6 pounds, RAH0501A22X 18 pounds, RAH0501A2X pounds. The date of manufacture is May 28, 2009. Symptoms displayed by an affected cat will be neurological in nature. Symptoms may include wobbly walking or muscle weakness, paralysis of the hind limbs, seizures, bending of the neck toward the floor and abnormal eye movement called nystagmus. Any cats fed these date codes that display these symptoms should be immediately taken to a veterinarian. Visit Premium Edge Pet Foods or call 800-977-8797 for more information. Diamond Puppy Formula dry dog food because of possible salmonella contamination. The recalled products include: 40-pound bag with Production Code DPP0401B22XJW with Best By Date 6-Apr-2013; 40-pound bag with Production Code DPP0401A21XAW with Best By Date 6-Apr-2013; 40-pound bag with Production Code DPP0101C31XME with Best By Date 11-Jan-2013; 40-pound bag with Production Code DPP0401B21XDJ with Best By Date 7-Apr-2013; 20-pound bag with Production Code DPP0401B22XJW with Best By Date 6-Apr-2013; 20-pound bag with Production Code DPP0101C31XME with Best By Date 11-Jan-2013; 20-pound bag with Production Code DPP0101C31XRB with Best By Date 11-Jan-2013; 8-pound bag with Production Code DPP0401B2XALW with Best By Date 7-Apr-2013; 6-ounce samples with Production Code DPP0401. For further information or to obtain a refund call 800-442-0402 or visit www.diamondpetrecall.com. Feline’s Pride Raw Food for cats and kittens for salmonella contamination. The recalled product is Natural Chicken Formula, 2.5 pounds produced on 6/10/10 and 6/21/10. The product is packaged in uncoded plastic containers and sold frozen to private consumers nationwide. For more information, contact the company at 716-580-3096. Hartz Chicken-Basted Rawhide Chips for dogs because of potential salmonella contamination. The recall involves two-pound plastic bags of chips with lot code JC23282, UPC number 3270096463. They were distributed to a national retail customer that the Secaucus, N.J.,- based company did not identify. For more information and reimbursement, consumers can contact Hartz at 1-800-275-1414. Hartz Naturals Real Beef Treats for dogs because of potential salmonella contamination. The recalled items is the 8-ounce bag with lot code BZ0969101E, UPC number 32700-11519. For more information and reimbursement, consumers can contact Hartz at 1-800-275-1414. Iams ProActive Health Smart Puppy dry dog food made by Proctor & Gamble because of possible mold contamination. The recalled food items are: 7-pound bag with code date 12784177I6 and UPC 1901402305; 8-pound bag with code dates 12794177D2 and 12794177D3 and UPC 1901410208; 17.5-pound bag with code dates 12794177K1 and 12794177K2 and UPC 1901401848. The items have use by or expiration dates of February 5, 2013, or February 6, 2013. The affected products were distributed the Eastern United States. For more information, a product replacement or refund contact call at 866-908-1569 or visit www.iams.com. Iams Veterinary Dry Formulas, Eukanuba Naturally Wild, Eukanuba Pure, Eukanuba Custom Care Sensitive Skin dog foods made by Procter & Gamble Company because of possible salmonella contamination. The affected products were sold in veterinary clinics and specialty pet retailers throughout the United States and Canada. The recalled products include all sizes and varieties with best buy days of July 1, 2010 to December 1, 2011. Consumers who have bought the food should discard it. Call Procter & Gamble Company at 877-340-8823 for a refund or visit www.iams.com for more information. Iams Veterinary Formulas Feline Renal cat foods made by Procter & Gamble Company for potential salmonella contamination. The affected products were sold in veterinary clinics throughout the United States. The recalled items are Iams Veterinary Formulas Feline Renal, 5.5-pound bag, Lot Code 01384174B4, UPC 019014214051 and Lot Code 01384174B2, UPC 019014214051. Call Procter & Gamble Company at 877-340-8823 for a refund or visit www.iams.com for more information. Keys Manufacturing Company's Pig Ears for Pet Treats because of possible salmonella contamination. Pig Ears for Pet Treats was distributed in 100-count cases packed in cardboard boxes shipped from September 27 to Oct. 6, 2010; November 1 to 29, 2010; and January 3 to 25, 2011, in Pennsylvania, Virginia, Missouri, Iowa, Ohio, Illinois, Florida, Kentucky, Michigan, Arkansas, Indiana, Louisiana, Texas and Minnesota. Those who have purchased Pig Ears for Pet Treats can return them to the place of purchase for a full refund. Contact the company Keys Manufacturing at 217-465-4001 for more information. Kroger's Old Yeller Dog Food, Value Chunk Dog Food, Pet Pride Cat Food and Value Cat Food because they may contain aflatoxin, a naturally occurring toxic chemical byproduct from the growth of the fungus Aspergillus flavus on corn and other crops. Symptoms including sluggishness or lethargy combined with a reluctance to eat, yellowish tint to the eyes and gums and severe or bloody diarrhea. Owners whose pets have these symptoms should contact a veterinarian immediately. The recalled items are: Pet Pride Cat Food, 3.5-pound packages, sell by date of OCT 23 11 DP and OCT 24 11 DP, UPC code 1111088128; Pet Pride Cat Food, 18-pound packages, sell by date of OCT 23 11 DP and OCT 24 11 DP, UPC code 1111071357; Pet Pride Tasty Blend Poultry & Seafood Cat Food, 3.5-pound packages, sell by date of OCT 23 11 DP and OCT 24 11 DP, UPC code 1111088152; Pet Pride Tasty Blend Poultry & Seafood Cat Food, 18-pound packages, sell by date of OCT 23 11 DP and OCT 24 11 DP, UPC code 1111074580; Pet Pride Kitten Formula Food, 3.5-pound packages, sell by date of OCT 23 11 DP and OCT 24 11 DP, UPC code 1111071903; Old Yeller Chunk Dog Food, 22-pound packages, sell by date of OCT 23 11 DP and OCT 24 11 DP, UPC code 1111074566; Old Yeller Chunk Dog Food, 50-pound packages, sell by date of OCT 23 11 DP and OCT 24 11 DP, UPC code 1111074563; Kroger Value Cat Food, 3-pound packages, sell by date of OCT 23 11 DP and OCT 24 11 DP, UPC code 1111000018; Kroger Value Chunk Dog Food, 15-pound packages, sell by date of OCT 23 11 DP and OCT 24 11 DP, UPC code 1111071559; Kroger Value Chunk Dog Food, 50-pound packages, sell by date of OCT 23 11 DP and OCT 24 11 DP, UPC code 1111000108. Customers who have purchased a recalled item should not use it and should return it to a store for a refund or replacement. For more information, contact Kroger 800-632-6900 or visit www.kroger.com/recalls9. Jones Natural Chews Pig Ears for possible salmonella contamination. They were shipped to distributors and retailers from September 15, 2010, to November 2, 2010. The recalled products are: Jones Natural Chews Pig Ears 2-pack bag, UPC 741956001047, Lot 2420; 100-count box, UPC 741956001139, Lots 2490, 2560, 2630, 2700, 2840, 2910, 2980; 50-count box, UPC 741956001504, Lots 2490, 2840; 25-count box, UPC 741956001467, Lot 2700; 1-pack shrinkwrapped-item, UPC 741956001146, Lots 2700, 2840, 2420; 10-pack printed bag-item, UPC 741956001405, Lots 2420, 2560, 2630, 2840. Blain’s Farm & Fleet Pig Ears 10 piece bag, UPC 741956001405, Lot 2560. Country Butcher Dog Chews Pig Ears 1-pack shrinkwrapped, 741956001511, Lot 2630; 1-pack shrinkwrapped, UPC 741956001146, Lot 2420; 12-pack bag, UPC 741956001245, Lot 2910. Those who have purchased the pig ears can return them to the place of purchase for a full refund. Contact the company at 877-481-2663 for more information. Mars Petcare Berkley & Jensen, Ol' Roy, ShopRite and Special Kitty dry dog and cat food products because of potential salmonella contamination. The food, manufactured at the company's Allentown, Pennsylvania, facility has "Best By" dates from Aug. 11, 2009, to Oct. 3, 2009. It was sold at at BJ's Wholesale Club, ShopRite Supermarkets, and Wal-Mart in Connecticut, Delaware, Massachusetts, Maryland, Maine, North Carolina, New Hampshire, New Jersey, New York, Ohio, Pennsylvania, Rhode Island, Virginia, Vermont and West Virginia. Visit Mars Petcare or call 1-877-568-4463 for more information. Merrick Pet Care's Doggie Wishbone pet treats because of possible salmonella contamination. The recalled Doggie Wishbone pet treat is Item 29050, UPC 2280829050, Lot 11031 with a Best By date of January 30, 2013. 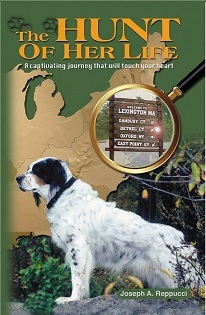 The Doggie Wishbone was shipped to distributors and retailers throughout the United States. Consumers who purchased the Doggie Wishbone pet treats can return the unused portion to the place of purchase for a full refund. For more information, call 800-664-7387. Merrick Pet Care's Beef Fillet Squares Dog Treats for possible salmonella contamination. The recalled product is the 10-ounce bag with item number 60016 and lot 10084TL7 dated March 24, 2012, or lot10127 dated May 6, 2012 . The “best by” date is imprinted on the top portion of the bag, which is torn off when the bag is opened. The FDA recommends consumers who are unable to determine the “best by” date to discontinue use. The Beef Filet Squares were shipped to distributors and retailers throughout the United States. Consumers who have purchased the item should return it to the place of purchase for a full refund. Form ore information, call 1-800-664-7387. Merrick Pet Care's Jr. Texas Taffy pet treat because of potential salmonella contamination. The affected products were sold throughout the United States. The recalled treat has item number 27077, UPC 02280827077. The recall includes all lots up to and including 10364. Those who have purchased the Jr. Texas Taffy can return the unused portion to the place of purchase for a refund. For more information, call 800-664-7387. Natural Balance Sweet Potato & Chicken Dry Dog Food for possible Salmonella contamination. The recalled products are 5-pound bags with UPC 7-23633-9000-4 and 28-pound bags with UPC 7-23633-99002-8 and a "Best By" date of June 17, 2011. The food was distributed in pet specialty stores in Alaska, Arizona, Arkansas, California, Colorado, Hawaii, Idaho, Illinois, Iowa, Kansas, Louisiana, Minnesota, Mississippi, Missouri, Montana, Nevada, New Mexico, North Dakota, Oklahoma, Oregon, South Dakota, Texas, Utah, Washington, Wisconsin and Wyoming. Those who have purchased the food should return it to the place of purchase for a full refund. For more information, contact Natural Balance Pet Foods Customer Service at 800-829-4493 or visit www.naturalbalanceinc.com1. Nature's Variety Chicken Formula and Organic Chicken Formula Raw Frozen Diets for dogs and cats for possible Salmonella contamination. The affected products are: 0.75-pound trial-sized Chicken Formula medallions with UPC#7 69949 60131 9; 3-pound Chicken Formula medallions with UPC# 7 69949 60130 2; 6-pound Chicken Formula patties with UPC# 7 69949 60120 3; 2-pound Chicken Formula chubs with UPC# 7 69949 60121 0; 12-pound Chicken Formula chubs with UPC#7 69949 50121 3; 3-pound Organic Chicken Formula medallions with UPC#7 69949 60137 1; 6-pound Organic Chicken Formula patties with UPC#7 69949 60127 2. Return products with any "Best If Used By" date on or before 2/5/11. Those who purchased the products should bring their receipt or the empty package in a sealed bag to the local retailer where purchased for a refund or replacement. For more information, call 800-374-3142 or visit Nature's Variety. Nutro Natural Choice Complete Care Dry Cat Foods and Nutro Max Cat Dry Foods for incorrect levels of the nutritional supplements zinc and potassium, which are essential nutrients for cats. "Best If Used By Dates" from May 12, 2010, to August 22, 2010, are affected. The recalled items are: Nutro Natural Choice Complete Care Kitten Food, 4-pound bag, UPC 0 7910520607 5; Nutro Natural Choice Complete Care Kitten Food, 8-pound bag, UPC 0 7910520608 2; Nutro Natural Choice Complete Care Kitten Food, 9.2-pound Bonus Bag, UPC 0 79105 20695 2; Nutro Natural Choice Complete Care Kitten Food, 20-pound bag, UPC 0 79105 20609 9; Nutro Natural Choice Complete Care Kitten Food, 1.5-ounce Sample Bag, no UPC; Nutro Natural Choice Complete Care Adult, 4-pound bag, UPC 0 79105 20610 5; Nutro Natural Choice Complete Care Adult, 8-pound bag, UPC 0 79105 20611 2; Nutro Natural Choice Complete Care Adult, 9.2 pound Bonus Bag, UPC 0 79105 20694 5; Nutro Natural Choice Complete Care Adult, 20-pound bag, UPC 0 79105 20612 9; Nutro Natural Choice Complete Care Adult, 1.5-ounce Sample Bag, no UPC; Nutro Natural Choice Complete Care Adult Oceanfish Flavor, 4-pound bag, UPC 0 79105 20622 8; Nutro Natural Choice Complete Care Adult Oceanfish Flavor, 8-pound bag, UPC 0 79105 20623 5; Nutro Natural Choice Complete Care Adult Oceanfish Flavor, 9.2-pound Bonus Bag, UPC 0 79105 20698 3; Nutro Natural Choice Complete Care Adult Oceanfish Flavor, 20-pound bag, UPC 0 79105 20624 2; Nutro Max Cat Adult Roasted Chicken Flavor, 3-pound bag, UPC 0 79105 10228 5; Nutro Max Cat Adult Roasted Chicken Flavor, 6-pound bag, UPC 0 79105 10229 2; Nutro Max Cat Adult Roasted Chicken Flavor, 16-pound bag, UPC 0 79105 10230 8; Nutro Max Cat Adult Roasted Chicken Flavor, 1.5-ounce Sample Bag, no UPC; Nutro Max Cat Indoor Adult Roasted Chicken Flavor, 3-pound bag, UPC 0 79105 10243 8; Nutro Max Cat Indoor Adult Roasted Chicken Flavor, 6-pound bag, UPC 0 79105 10244 5; Nutro Max Cat Indoor Adult Roasted Chicken Flavor, 16-pound bag, UPC 0 79105 10245 2; Nutro Max Cat Indoor Adult Roasted Chicken Flavor, 1.5-ounce Sample Bag, no UPC; Nutro Max Cat Indoor Adult Salmon Flavor, 3-pound bag, UPC 0 79105 10246 9; Nutro Max Cat Indoor Adult Salmon Flavor, 6-pound bag, UPC 0 79105 10247 6; Nutro Max Cat Indoor Adult Salmon Flavor, 16-pound bag, UPC 0 79105 10248 3; Nutro Max Cat Indoor Weight Control, 3-pound bag, UPC 0 79105 10249 0; Nutro Max Cat Indoor Weight Control, 6-pound bag, UPC 0 79105 10250 6; Nutro Max Cat Indoor Weight Control, 16-pound bag, UPC 0 79105 10251 3. The product was distributed throughout the United States as well as in Canada, Mexico, Japan, Korea, Thailand, Malaysia, Singapore, Indonesia, New Zealand and Israel. Consumers who the purchased products should return it to the retailer for a refund or exchange. For more information call 1-800-833-5330 or visit Nutro Products. Nutro Ultra puppy food because of potential small pieces of melted plastic. The recall involves three varieties: Nutro Ultra 4.5 pound bag of puppy food with UPC 79105 51313 and best by date of 09/10/10 that was sold at Petsmart stores in Arizona, California, Colorado and New Mexico and Texas; Nutro Natural Choice 5-pound bag of chicken meal, rice and oatmeal formula small bites for puppies with UPC 79105 23050 and best buy day of 09/10/10 that was sold at Petsmart stores in Arizona, California, Colorado and New Mexico and Texas; and Nutro Ultra 30-pound bag of puppy food UPC 79105 51315 and best buy date of 09/10/10 sold at Petco stores in California, Hawaii, Nevada and Utah. Return the product to the retailer for a full refund or exchange for another Nutro product or contact the Nutro Products at 1-800-833-5330. Visit Nutro Products for more information. Pedigree Dog Food manufactured by Mars Petcare for possible salmonella contamination. Recalled items are: Pedigree Large Breed Original (UPC 2310029158), Pedigree Mealtime Crunchy Bites Small (UPC 2310005104), Pedigree Small Crunchy Bites Beef (UPC 2310031483) and Pedigree Small Crunchy Bites (UPC 2310014719). Return to the store where purchased for a full refund. Call 1-877-568-4463 or visit Mars Petcare for more information. Pedigree Dog Food manufactured by Mars Petcare for possible salmonella contamination Recalled items are 20-pound bags of Pedigree Complete Nutrition Small Crunchy Bites. The best before date on the bags is July 7, 2009. The food was sold in in stores in Southern California and Las Vegas, Nevada. Call 1-877-568-4463 or visit Mars Petcare for more information. Pet Carousel pig ears and beef hooves because of possible Salmonella contamination have been recalled by the Sangar, Calif., company. The products were distributed nationwide for sale in pet food and retail chain stores throughout the country. All sizes and all lots of these pork ears purchased on or after 08/16/2009 and all beef hoof products in all varieties purchased on or after 09/16/2009 made by Pet Carousel are included. The affected pig ear products - packaged under the brand names Doggie Delight, Pork Tasteez and Pet Carousel - are item numbers: 18100-P Bulk, 18016-P 10-pack red mesh bag and 18120-P 20-pack red mesh bag. The affected beef hooves - packaged under the brand names Choo Hooves, Dentley’s, Doggie Delight, and Pet Carousel - are item numbers: 1506-K 5-pound bulk, 1507-K 10-pound bulk, 1520-K 20-poud bulk, 12125-T 10-pack vinyl bag, 12110-T 10-pack vinyl bag, 12111-T 10-pack vinyl bag, 12122-T 10-pound bulk, 1503-K 3-pack vinyl bag, 1510-K 10-pack vinyl bag, 1405-S 5-pound bulk, 1408-S 10-pack vinyl bag, 1410-S 10-pound bulk, 1420-S 20-pund bulk, 90058-H Cheese & Bacon Stuffed Hoof bulk, 90056-H Peanut Butter Stuffed Hoof bulk and 17005-R Rope toy with Hooves. For more information, contact Pet Carousel at 800-231-3572. Petrus Feed and Seed Stores dry dog food for possible high levels of aflatoxin. The recalled item is 21% Protein Dog Food in 40-pound Petrus feed bags with date codes (lot numbers) 4K1011 through 4K1335. The food was distributed in Petrus Feed and Seed in Alexandria, Louisiana. Those who purchased the food can return it – whether in opened or unopened packages – to the place of purchase for a full refund. For more information, call 318-443-2259. Primal Pet Foods Feline Chicken and Salmon Formula because of possible salmonella contamination. The recalled product is chicken and salmon nuggets, 4-pound bag with UPC 895135000250 and a "Best By" date code of 043112-17. The food was distributed through retail stores sales in the United States. Those who bought the product can call Primal Pet Foods at 866-566-4652 to get assistance in getting a full refund or replacement from the place of purchased. Solid Gold Tiny Tots Dog Treat because of complaints about mold. Best Before date on package is April 2009. No other batches of Tiny Tots or any of our other jerky treats are affected. Consumers can return the food to the store where they purchased it for a refund. Visit Solid Gold or call 1-800-364-4863 for more information. Solid Gold 13.2-ounce cans of turkey, ocean fish, carrot & sweet potatoes formula with pop-tops because of complaints about mold. The bottom of the cans are labeled "Use By Date 01/02/2010." Consumers can return the food to the store where they purchased it for a refund. Visit Solid Gold or call 1-800-364-4863 for more information. Supa Naturals Chicken Breast Strips because of reports about dogs becoming ill with digestive and kidney problems after eating the treats. The recalled items, made by KraMar Pet Company, have the product codes 85148 APN 9316457851487 and 85149 APN 9316457851494. Visit KraMar Pet Company for more information. Wellness Cat Food for possible deficient levels of thiamine. The recalled products are: Wellness Canned Cat Food, all flavors and sizes, with dates from April 14, 2013 to September 30, 2013; Wellness Canned Cat Food Chicken & Herring, all sizes, with dates November 10, 2013 or November 17, 2013. Symptoms of thiamine deficiency displayed by an affected cat can be gastrointestinal or neurological. Early signs of thiamine deficiency may include decreased appetite, salivation, vomiting, and weight loss. For more information, call Wellness at 877-227-9587 or visit www.wellnesspetfood.com. Wysong Pet Food's Canine Diets Maintenance and Senior dry dog foods because of mold. Pets who have eaten the product may get loose stool. The recalled products, manufactured in June and July 2009, are: Wysong Maintenance lot number 090617; Wysong Maintenance lot number 090624; Wysong Maintenance lot number 090706; Wysong Maintenance lot number 090720; Wysong Senior lot number 090623. The food can be returned to the place of purchase for an exchange or refund. Visit Wysong Pet Food for more information. Four Paws Pimple Ball with Bells because of choking hazard. Toys affected are item numbers 20220, 20225, and 20227 with UPC numbers 045663 20220 0, 045663 20225 5, and 045663 20227 9, respectively. Consumers can return the toy for a replacement to: Four Paws Products, Pimple Ball with Bell Return, 50 Wireless Blvd., Hauppauge, N.Y. 11788. For more information, the company can be reached at 1-800-835-0909. SlyDog Retractable Leashes because metal clasp that connects to a pet's collar can break, causing the leash to recoil and hit the person holding it. The leashes were sold for $5 at Dollar General Stores throughout the United States from September 2007 through August 2008. Return to manufacturer, Worldwise, for a full refund, including shipping costs. Contact Worldwise at 888-296-3807 or visit http://www.squareonesystem.com/ for more information. Cetyl M for Dogs joint supplements made by Response Products is being recalled fore possible Salmonella. The affected products were distributed nationwide through direct sales, retail stores, veterinarians and online retailers. They come in either a 120-count bottle (shipped between January 8, 2010, and April 2, 2010) or a 360-count bottle (shipped between February 11, 2010, and April 2, 2010). The lot numbers are 1210903 and 0128010. Those who have purchased the products should contact the place of purchase or Response Products at 1-877-266-9757. Doctors Foster and Smith Brewers Yeast Mega-Tabs with Garlic and Essential Fatty Acids 180 Tablets with UPC 825141273447. Doctors Foster and Smith Dis-Taste Small Dog Tablets 250 Tablets with UPC 825141059485. Doctors Foster and Smith Extra Strength Dis-Taste Tablets 180 Tablets with UPC 825141008629. Doctors Foster and Smith Extra Strength Dis-Taste Tablets 500 Tablets with UPC 825141063680. Doctors Foster and Smith Fresh Breath Tablets for Dogs 100 Tablets with UPC 825141095629. Doctors Foster and Smith Cran Health Support Normal Urinary Tract Health 60 Tablets with UPC 825141291250. Doctors Foster and Smith Brewers Yeast Tablets for Dogs and Cats 750 Tablets with UPC 825141055043. Doctors Foster and Smith Ear Powder (1 ounce or 28 grams) with UPC 825141003921. Doctors Foster and Smith Ear Powder Net (4 ounce or 113 grams) with UPC 825141005154. DDS Dental Breath Mints Breath Control 40 Tablets with UPC 26851074014. DDS Dental Breath Tabs Breath Control 200 Tablets with UPC 26851017233. Excel 3 in 1 Ear Powder Ear Care (1 ounce or 28 grams) with UPC 26851007074. Excel Glucosamine Joint Care 120 Tasty Chew Tabs with UPC 26851071105. Excel Glucosamine with MSM Joint Care 120 Tasty Chew Tabs with UPC 26851071136. Excel Deter Coprophagia Treatment Behavioral Aid 60 Tasty Chew Tabs with UPC 26851007203. Excel Deter Coprophagia Treatment Behavioral Aid 500 Tasty Chew Tabs with UPC 26851007241. Excel Gas Preventative Digestive Aid Digestive Care 60 Tasty Chew Tabs with UPC 26851073116. Excel Calm-Quil Calming Tablets Behavior Aid 60 Tasty Chew Tabs with UPC 26851073154. Excel Calcium Daily Supplement 125 Tasty Chew Tabs with UPC 26851007012. Excel Calcium Daily Supplement 500 Tasty Chew tabs with UPC 26851007463. PR Excel Brewers Yeast with Garlic Skin and Coat 150 Tasty Chew Tabs with UPC 26851007760. Excel Brewers Yeast with Garlic Skin and Coat Care 600 Tasty Chew Tabs with UPC 26851007777. Excel Brewers Yeast with Garlic Skin and Coat Care 1000 Tasty Chew Tabs with UPC 26851007784. Excel Brewers Yeast with Garlic Skin and Coat Care Mega Tabs 216 Tasty Chew Tabs with UPC 26851007852. Excel Puppy Multi Vitamin 100 Tasty Chew Tabs Time Release with UPC 26851007005. Excel Small Breed Multi Vitamin 45 Tasty Chew Tabs with UPC 26851073017. Excel Lutein Vision Maintenance Eye Care 60 Tasty Chew Tabs with UPC 26851073093. Excel Adult Multi Vitamin 60 Tasty Chew Tabs with UPC 26851008453. Excel Advantage Adult Multi Vitamin 60 Tasty Chew Tabs with UPC 26851780304. Excel Advantage Puppy Multi Vitamin 60 Tasty Chew Tabs with UPC 26851780311. Excel Advantage Senior Multi Vitamin 60 Tasty Chew Tabs with UPC 26851780328. Excel Advantage Skin and Coat Essentials 60 Tasty Chew Tabs with UPC 26851780335. Excel Advantage Glucosamine Advanced Strength 60 Tasty Chew Tabs with UPC 26851780359. Excel Adult Multivitamin 120 Tasty Chew Tabs with UPC 26851780656. Excel Senior Multi Vitamin 120 Tasty Chew Tabs with UPC 26851780663. Excel Joint Ensure Moderate Care 60 Tasty Chew Tabs with UPC 26851780120. Excel Joint Ensure Advanced Care 60 Tasty Chew Tabs with UPC 26851780137. Excel Flare-Away Joint Tabs 60 Tasty Chew Tabs with UPC 26851780144. 5619 Nature's Miracle Pet Mess Easy Clean-up (12 ounces) with UPC 18065056191. Petco Ear Powder For Dogs (1 ounce bottle and 28 gram box) with UPC 800443037065. Petco Breath Tabs for Dogs Liver Flavor 50 TabletsPetco Breath Tabs for Dogs Liver Flavor 50 Tablets with UPC 800443076576. Pro-Pet Glucosamine Joint Care 60 Chew Tablets with UPC 26851825302. Pro-Pet Stool-Eating Preventative(Corprophagia Treatment) 60 Tasty Chew Tabs with UPC 26851825319. Pro-Pet Anti-Stress Calming Tabs 60 Chew Tablets with UPC 26851825340. Pro-Pet Glucosamine Plus Joint Care 100 Chew Tablets with UPC 26851825623. Pro-Pet Breath Tabs 40 Tablets with UPC 26851826187. Pro-Pet Breath Mints 200 Tablets with UPC 26851826194. Pro-Pet Gas Relief Digestive Aid 40 Chew Tablets with UPC 26851826545. Pro-Pet Glucosamine Advanced Joint Powder (10 ounces or 283 grams) with UPC 26851826569. Pro-Pet Daily Vitamin Supplement Powder (10 ounces or 283 grams) with UPC 26851826583. Pro-Pet Puppy and Small Breed Daily Vitamin Supplement 100 Chew Tablets with UPC 26851830627. Pro-Pet Glucosamine Advanced Joint Care 60 Chew Tablets with UPC 26851830658. Pro-Pet Senior Daily Vitamin Supplement 100 Tasty Tablets with UPC 26851017011. Pro-Pet Brewers Yeast Daily Supplement 250 Chew Tablets with UPC 26851017752. Those who have purchased the product should contact the place of purchase or United Pet Group at 1-800-645-5154, extension 3.